Achadacallan Holiday Cottage is situated in peaceful surroundings and overlooking Ben Cruachan, in the lovely Village of Taynuilt, in Argyll. Achadacallan is an ideal place to stay for those wishing a more gentle and relaxed holiday. 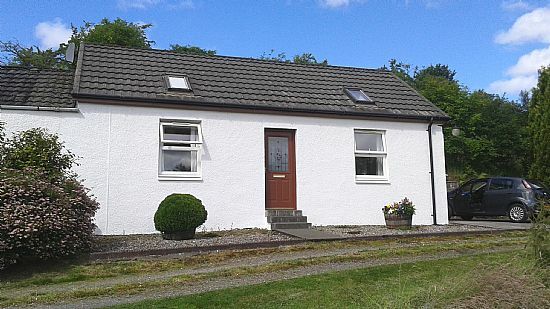 The cottage is approximately 1 mile from the Village of Taynuilt, ½ mile from the tranquil shores of Loch Etive and 11 miles from busy town of Oban, on the West Coast of Scotland, officially known as the "Gateway to the Isles", and has recently been acclaimed as "the Seafood Capital of Scotland". At Achadacallan Holiday Cottage you are never far from the hustle and bustle of the town, but are too far away to notice it! Achadacallan has a 3 Star grading with Visitscotland.